Here she is...The last of the "12 Dolls of Christmas 2010"! An Ebay find, reminiscent of my very first Barbie doll, given to me by my Aunt Venus at Christmas when I was age seven or eight. 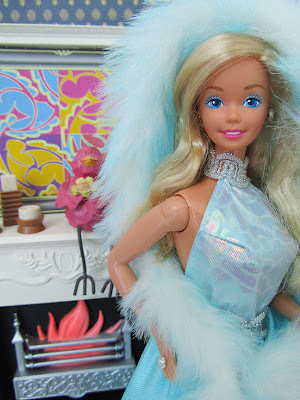 She's very special to me because she represents the very beginning of my fashion doll craze. That's why I chose her as my grand finale. I didn't have a lot of toys as a child yet with the toys I did have Barbie was incomparable to all. I wish to this day that I still had my original doll but the move to Canada caused things to be left behind and inevitably given/thrown away. I hope everyone enjoyed "The Twelve Dolls of Christmas 2010". 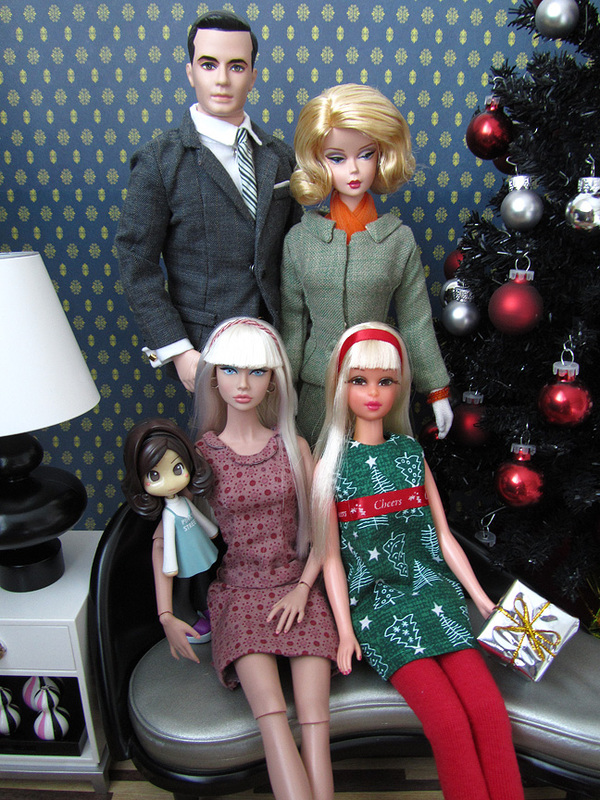 HAPPY HO HO TO ALL...AND TO ALL SOME GOOD DOLLS!